Rap versus rock. The designated hitter or pitchers batting. And, of course, the most contentious of arguments pitting fans of a classic approach against a band of upstarts: slow-moving zombies or their quick-footed brethren. Twenty-five years ago, Maggie would have been a profoundly different movie. Cast Arnold Schwarzenegger in a zombie movie back then, and the only question would have been whether the one-line wisecracks would have outnumbered the body count. Skip Arnold and go with the same script of the film that opened this weekend, and Maggie would have been widely viewed as a metaphor for the AIDS epidemic and the societal shunning of its victims. 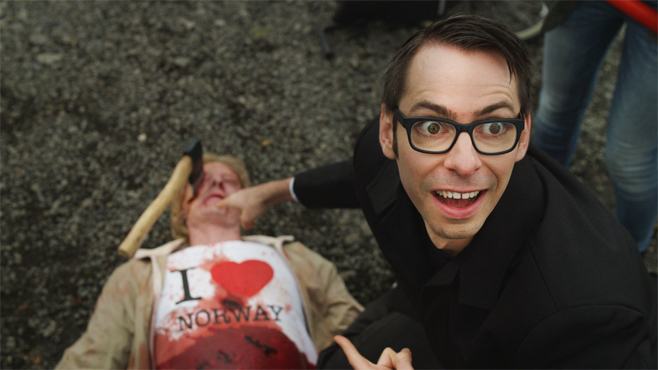 There’s a simple two-step method to enjoying Død Snø 2 (Dead Snow: Red vs. Dead). Step A: Watch the original Død Snø. Step B: See the new movie in a theater filled with people who loved the first one.